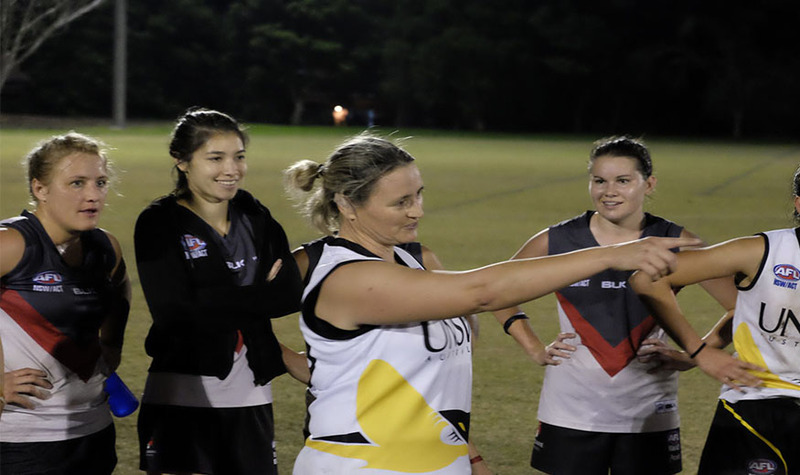 In this history making year for women’s football, UNSW Eastern Suburbs Stingray, Lisa ‘Kiwi’ Roper has created her own piece of history in AFL Sydney. Last weekend, Roper reached her 250th game when the Stingrays took on Macquarie University. 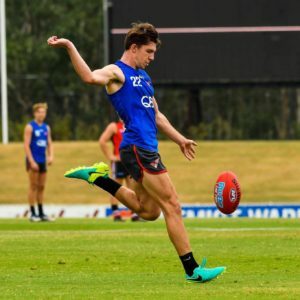 Retiring from soccer after 20 years in the game, Roper started playing AFL in 2002. 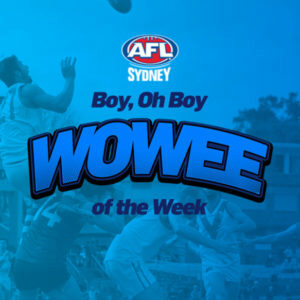 The competition then was titled the ‘Sydney Women’s Australian Football League’ (SWAFL), in a time before the official ‘AFL Sydney’ league was named. Roper admits that the skill level of female footballers 15 years ago, was much lower than what is expected today, but says their pure tenacity made up for what was lacking in talent. “We had the mental toughness that just got us through the hard games,” says Roper. 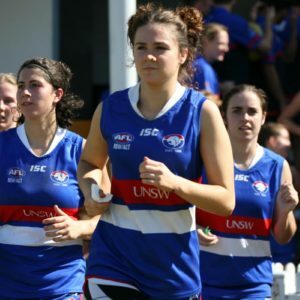 In Roper’s first season of AFL, she was selected to play in the New South Wales Women’s representative side in the Senior Women’s Nationals. However, despite Roper’s success at a local and state level, she believes that her abilities in coaching, far exceed her playing skills. Roper’s history within the coaching and administration space is almost as long as her games record, having been instrumental in the overall development of AFL in Sydney. Founder of the Bondi Shamrocks (now UTS Shamrocks), Roper helped coach the newly formed side into the finals in their first season. Roper also played a hand in creating Sydney’s first female academy for elite players. Alongside this, a rookie program was developed to fast track new athletes into the game. Away from the field, Roper has also contributed to the charity side of community football. When Michelle Daley from the Balmain Dockers was seriously injured while playing AFL in 2003, Roper organised the ‘Charity Shield’ to raise funds to support her footballing peer. She was also a part of team to put together the annual ‘Compass Cup Challenge’ between the Western Wolves and the UNSW Eastern Suburbs Stingrays. More recently, Roper has contributed to the famous ‘Reclink Cup’ by coaching the Western Walers – a team made up of musicians, who verse a team of media personalities each year. 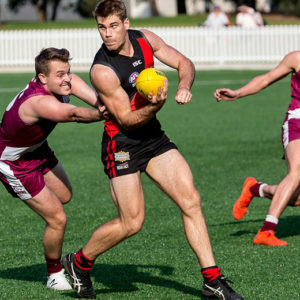 Roper played her former team, the Macquarie University Warriors in her 250th last Saturday – one of many clubs she has played AFL for in Sydney, including the Western Wolves where she played 148 games. “Playing with other clubs has taught me so much more about the game, and working with different players and styles has help me grow as a coach, and along the way, make a lot of friends and memories. The UNSW Eastern Suburbs Stingrays will be the likely club that ‘Kiwi’ will play for as she rounds out her playing career. “Now with the UNSW Eastern Suburbs Stingrays, I feel really blessed to be part of a professional club structure in joining their coaching panel. AFL Sydney congratulates Lisa Roper on this significant milestone and thanks her for the contribution she has made to our game.